Every company should operate with a well-designed administrative structure to guide work process. A great administrative structure of a company will display staff relationships and support efficient communication. A company should have its own administrative structure in order to operate effectively. It can help assign roles to departments and individuals. This page will demonstrate how a company administrative structure works. 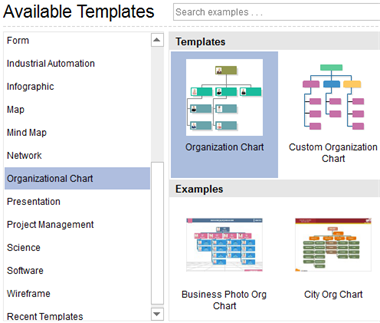 With a large amount of symbols, templates and easy-to-operate feature, this professional chart maker can help create an effective administrative structure. Follow the steps below and see how to create an administrative structure for a company. Add Position Shapes and Connect Them Together: drag and drop the position shapes according to your company administrative structure. Complete the administrative structure of company according to the positions and roles of the organization. Use different colors to highlight each department branch. Save and Export: once completed the design of your company administrative structure, save the file or export it as other formats if necessary. 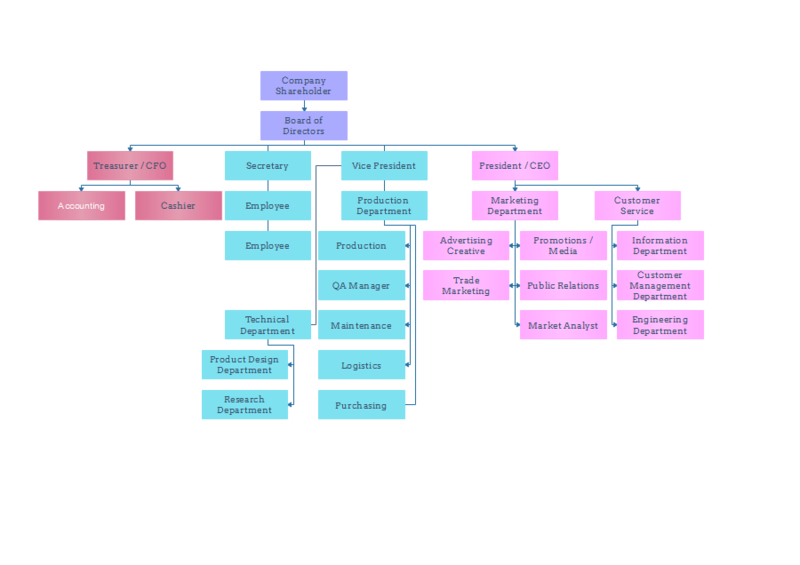 The example below shows the basic content of a company administrative structure. See more administrative structure examples. Shareholders own the company. A shareholder doesn't run the business or participate in the management. They elect who will run the business on behalf of them, directors, and vote on major decisions like acquisition, merge and the sale of assets. The Board of Directors has a very close involvement with the management of the company. They are elected by shareholders and report to them annually. The primary responsibilities of directors are to protect the interest of shareholders. Officers are elected by the Board of Directors. A company has 4 typical officers: President, Vice President, Treasurer and Secretary. They are responsible for the daily management of the company. Secretary: maintains corporate records and documents. 4. Employees: carry out various tasks related to company affaires, report to officers of the company.